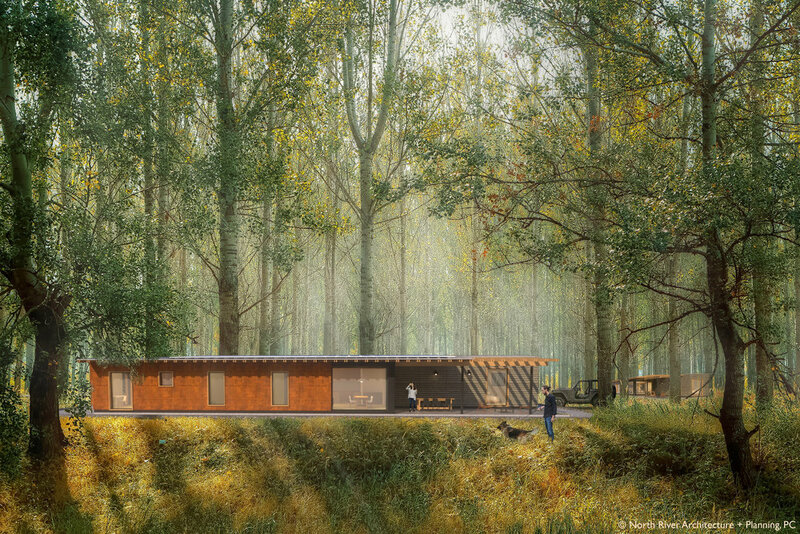 This Passive House design is meant to be a fresh take on sustainable living. Designed for the landscape to take center stage, the home also embodies the comforts of energy efficiency and thoughtful design. Just one room wide and one story tall, it can be built on almost any site, and with minimum impact on the land and views. Passive House design guarantees excellent air quality, resiliency and up to 80% reduction in energy use compared with code-compliant houses. 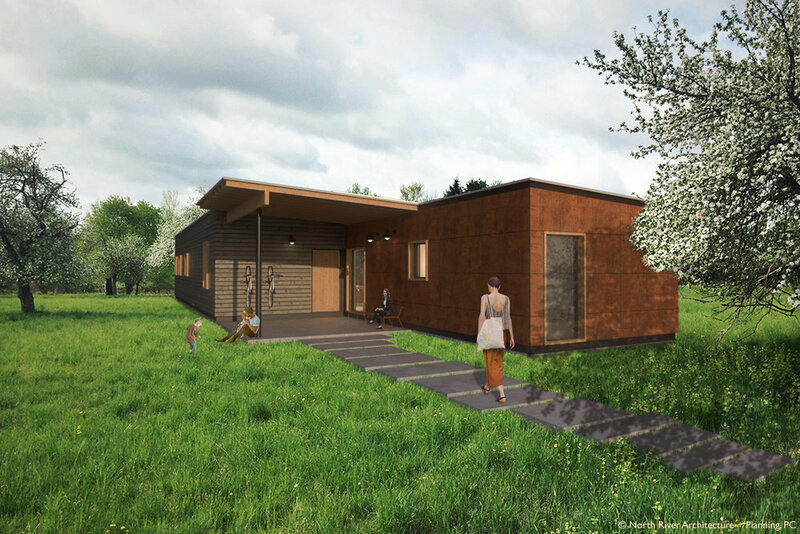 This Passive House can be Net-Zero Energy with the addition of a small roof-mounted solar array, producing more electricity than it consumes on an annual basis. Our team at North River Architecture is committed to delivering affordable, elegant and sustainable design to our clients. Our work is all about our deep roots in the Hudson Valley, our connections to skilled local builders and artisans, and a passion for design that is restorative to the environment in big and small ways. 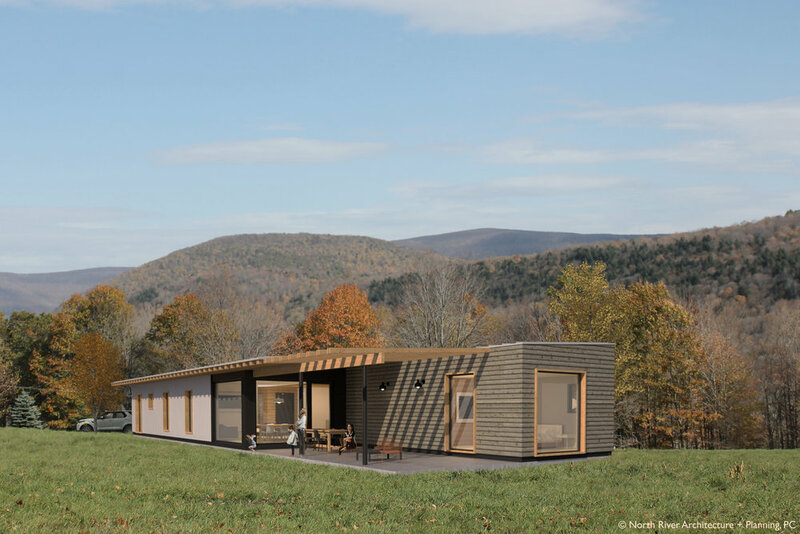 Stay tuned for updates on this Catskills Passive House Concept.